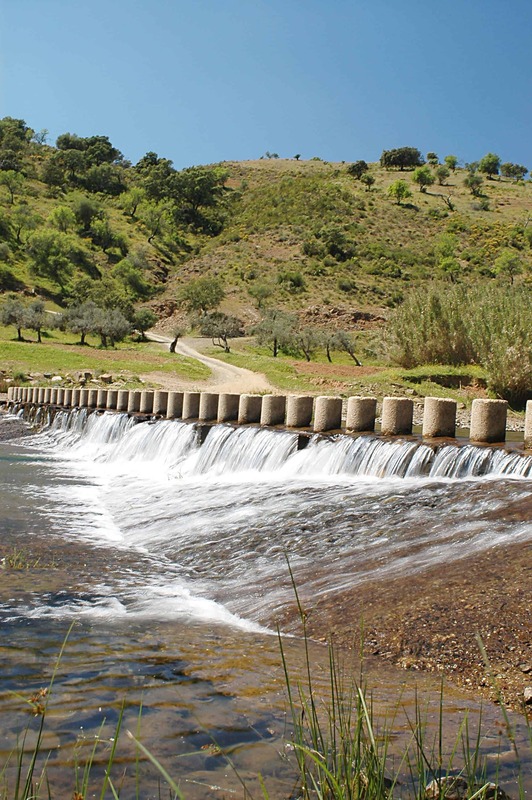 Uncover the quieter, more rural side of the Algarve on a journey through the historic municipalities of Alcoutim, Castro Marim and Vila Real de Santo António as you follow the Guadiana river along the Spanish border. 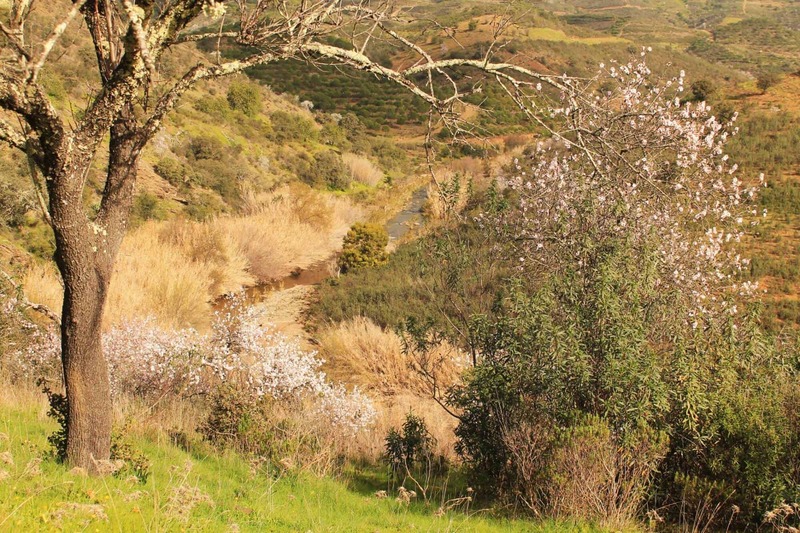 This is a protected landscape, recognised for its rich biodiversity and abundance of wildflowers – best experienced by taking to the backcountry roads where you can experience the magical qualities of Portugal’s rural idyll firsthand. 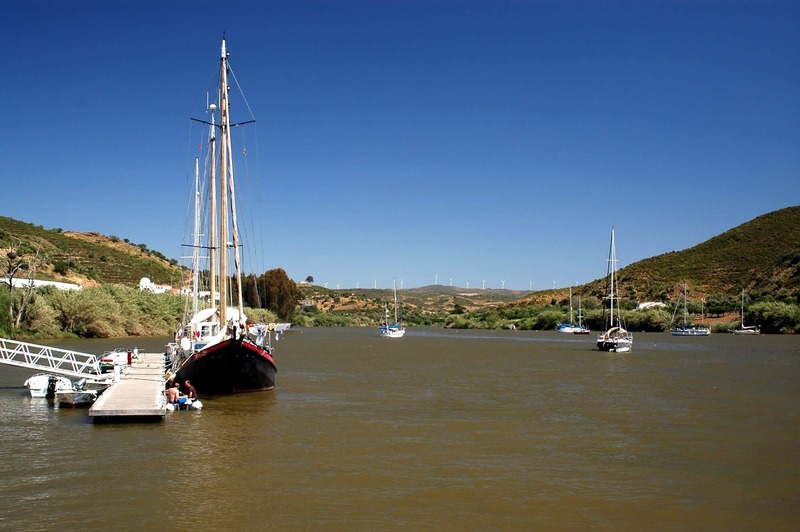 Wherever the route takes you, you’re never far from the water on this route with trails that border the sea, lakes streams and river on your way along the Guadiana waterway. The Guadiana Valley remains a hidden gem of the Iberian Peninsula, far less visited than the neighbouring Algarve but, thanks to this relative obscurity, the Guadiana Valley is abundant with impressive archeological remains that give the area its timeless quality. Making your way along the route, you’ll encounter the medieval hilltop castle of Castro Marim, the medieval town of Alcoutin, the 12th century Moorish Mosque in the walled town of Mértola and the Roman ruins that are found on the third day of your journey on the way to the charming farming village of Junquiera. 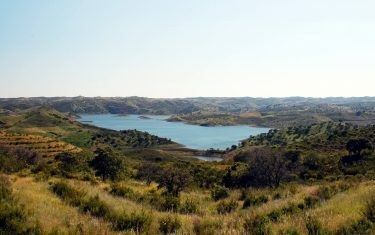 Venturing out of the cobbled streets of the historic towns and villages you visit en-route, your trail brings you out among the magical atmosphere of the Guadiana Valley National Park as well as the Castro Marim and Vila Real de Santo António Marsh Natural Reserve – the latter being a popular spot for birdwatchers with sightings of flamingos, spoonbills, avocets and black-winged stilts. 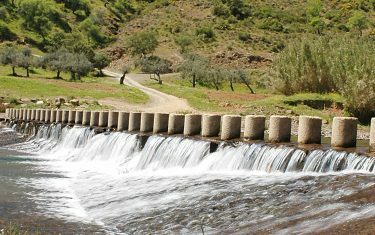 The Guadiana Valley area is vast plateau over a deep canyon where the river runs; where you follow the backroads through cultivated olive groves, citrus orchards, foothills and tangled forests. 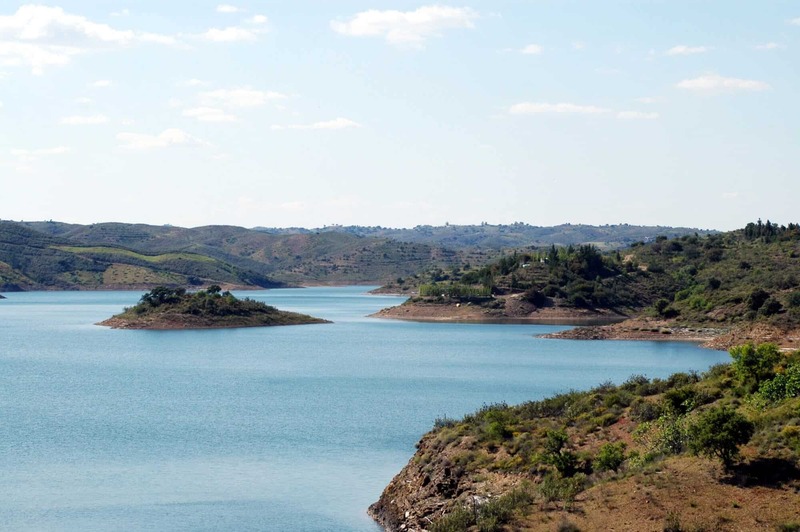 Between the many historic towns and villages that you visit on each night of your journey, your route takes you through the Guadiana Valley and along the Spanish border to the coast at Castro Marim. 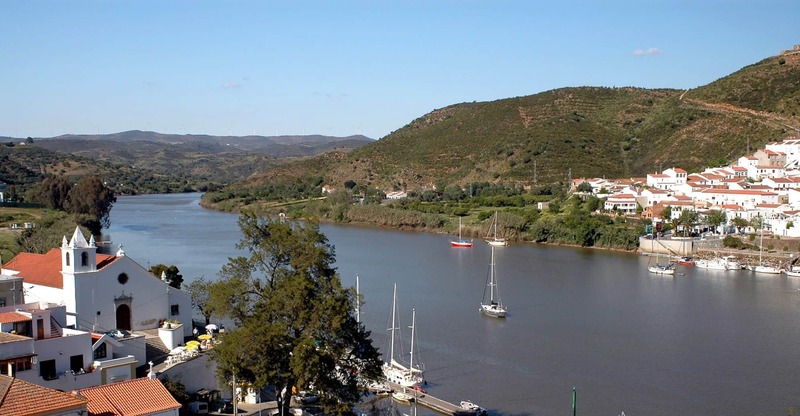 Discover some of Portugal’s most quiet and compelling stretches of natural scenery along the Guadiana River, following old smuggler routes and Roman roads with ample opportunities to stop and take in the landscape before you from the many high-level vantage points stationed along the way. Even in an area as undeveloped and quiet as the National Park, you’ll find good signage and well-maintained paths, although there may be some points at which the tangled forests and undergrowth overrun the paths’ edges. 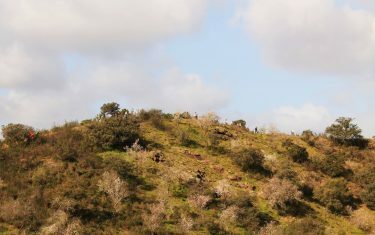 The National Park is noted for its profusion of wild flowers and birdlife, with eagles and buzzards native to the area. For your journey we have selected a variety of characterful hotels and B&B’s that complement the areas you visit. From establishments situated on the banks of the river Guadiana to cosy, family-run farmhouses set among the countryside, to us it’s important that the places you return to after a day out exploring Portugal’s many natural and historic wonders are just as much a part of the experience than the walking trail itself. 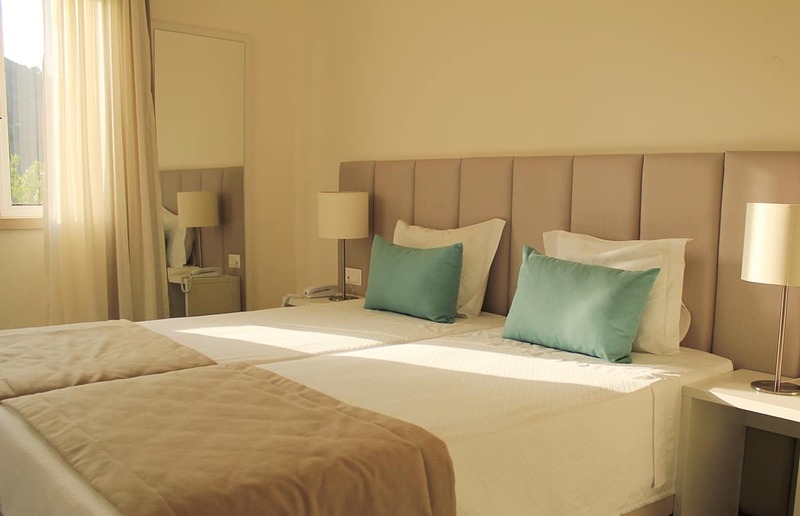 You can expect a buffet breakfast each morning, local produce for dinner, as well as a swimming pool in which to soak up and unwind after a day’s walk. 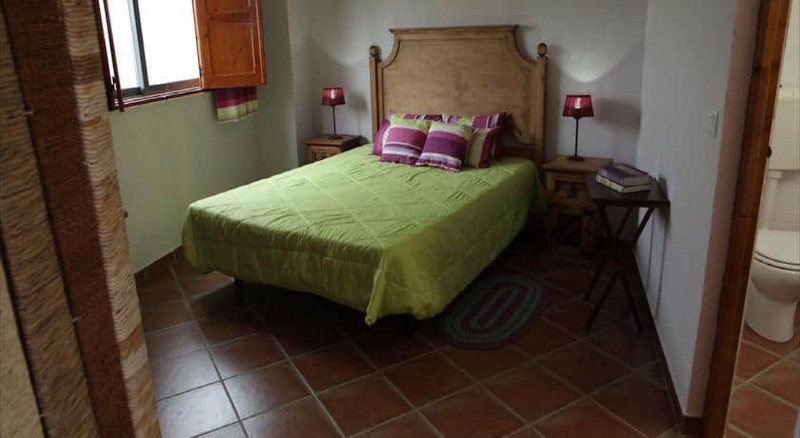 All our hotels on this trip (even in the more rural areas) have free WI-FI, air-conditioning and our hotel in Mértola in particular is a great base from which to explore the local cultural and historical points of interest in the area. Days: 6 (7 nights) | Distance: 66 mi (106 km) | Difficulty: Easy to Moderate | Comfort: 3/4 | Price: from £705 p.p. 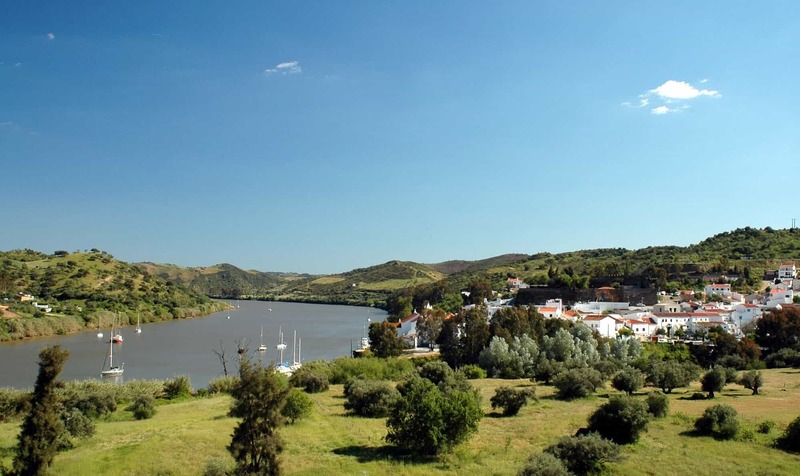 Your first day is spent among the historic surroundings of the Moorish town of Mértola, perched on the rocky hills that overlook the Guardiana River. 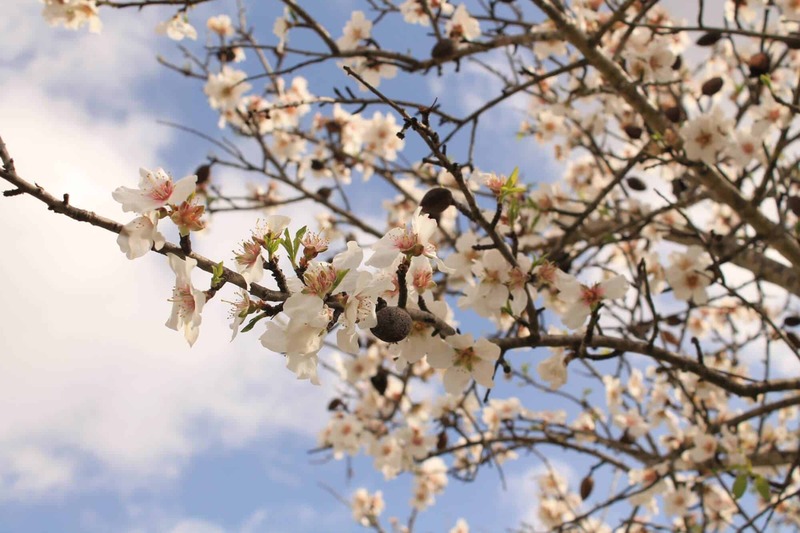 This is a great opportunity to explore the cobbled streets of this village further, delving into the old buildings and romantic atmosphere of this quintessential old Portuguese village. 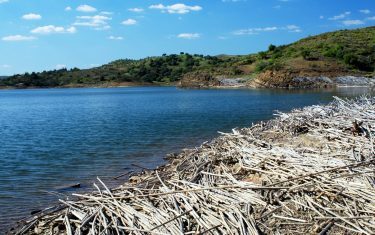 Following an old smugglers route out of Mértola, today’s trail introduces you to some of the wildest parts of the Guardiana River, a region teeming with flora and a wide array of migratory birds. 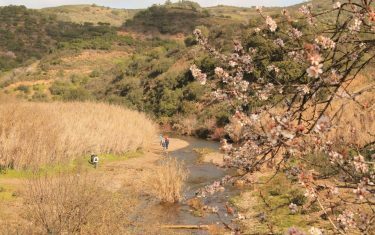 Follow your trail through the Guardiana National Park before eventually coming across the picturesque medieval town of Alcoutim, overlooking the banks of the Guardiana River. Your route re-joins old smugglers routes, with amazing views stretching across the river. 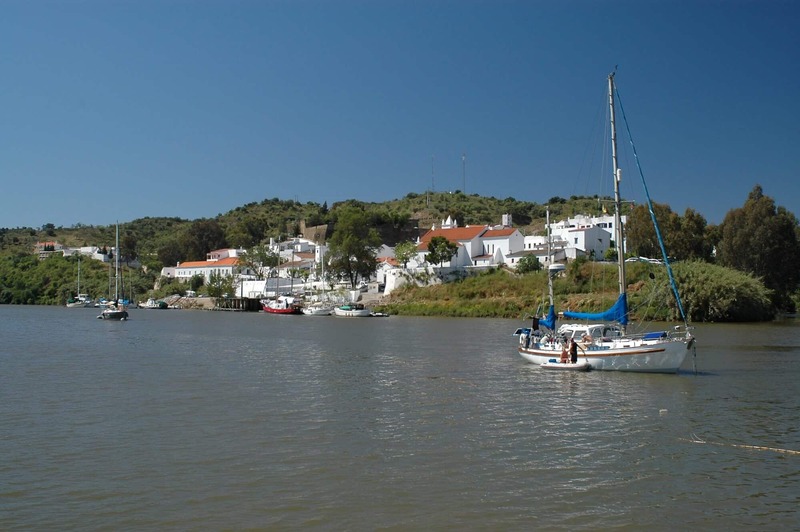 All around is the cultural heritage of the area, with the beautiful castles of Alcoutim and its Spanish neighbour, Sanlucar, sat just across the river. 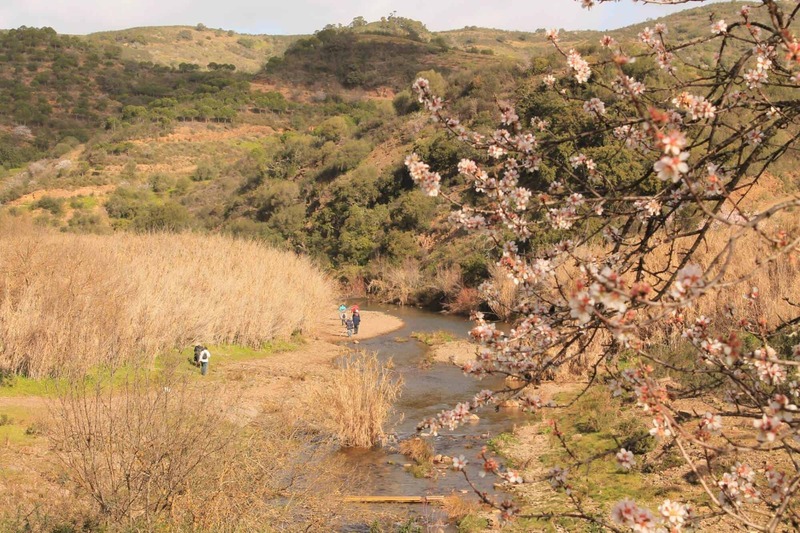 Discover the landscape and topography of the Alcoutim area, on a walk that takes you through the fields and forests of the National Park, offering far-reaching views over a scenery in bloom with the region’s flowers. Nestled among the course of your trail today are the ruins of an old mine, a reminder of the long history of mining activates in the area. Along the way to your hosts for the evening you can stop at the spectacular river beach, where you’ll find an expanse of pristine white sand before you. 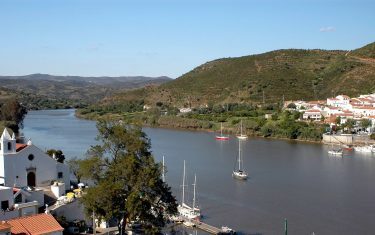 Today’s route takes you alongside the river to the charming agricultural village of Junqueira. Yachts cruise down the Guardiana, and Roman ruins, as well as the River museum are open for discovery along the way, before meeting your hotel transfer. 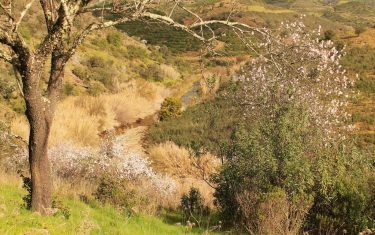 Start your walk today with a route that follows quiet backroads lined bordered by orange, fig, olive and carob trees through the scenic lakes that occupy the foothills of the Guardiana. 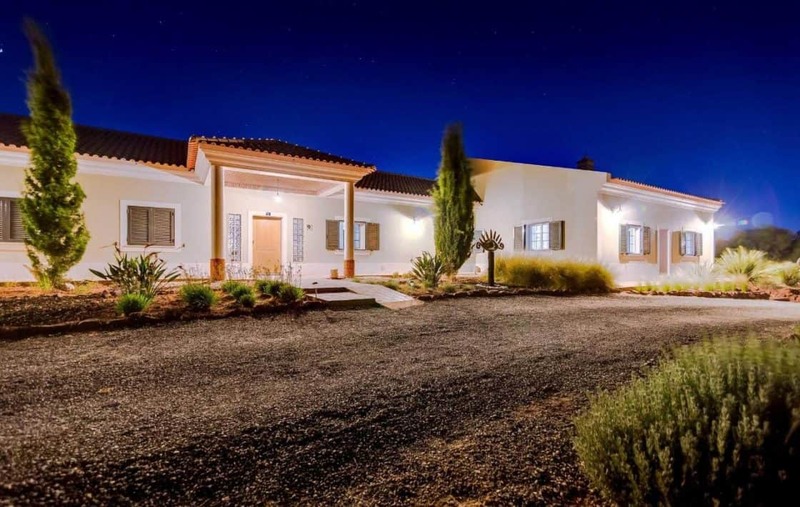 Here you’ll find a landscape characterised by verdant valleys thick with orchards and gardens as well as vast swathes of pine forest as your route ends at the last accommodation of your journey in Castro Marim. 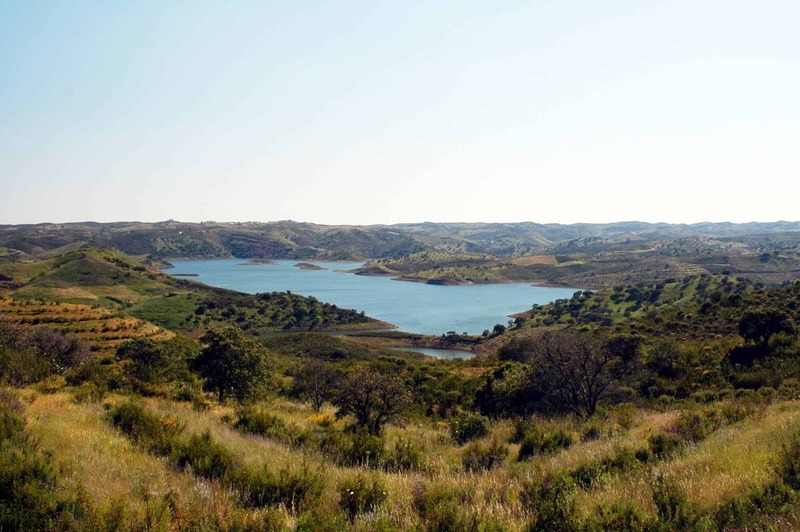 The final leg of your journey takes you through the historic town of Castro Marim, with its medieval hilltop castle overlooking the landscape before you. 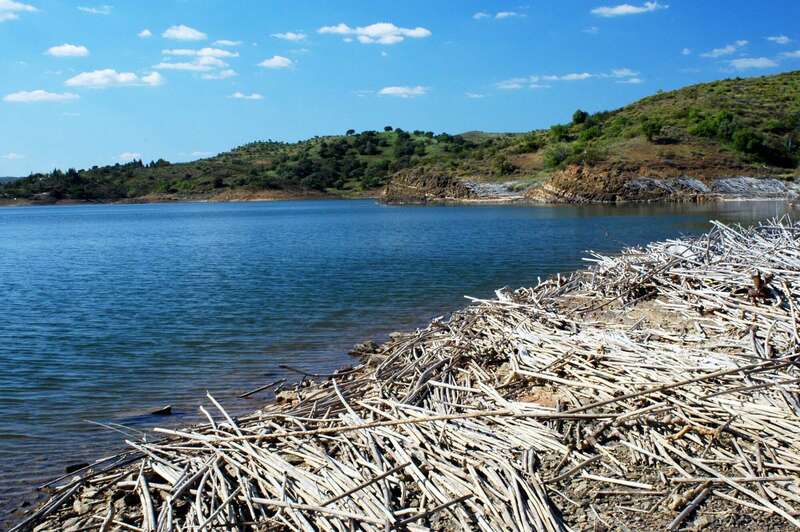 Your route takes though the Castro Marim and Vila Real de Santo António Marsh Natural Reserve, an area earmarked for protection on account of its rich diversity in birdlife. 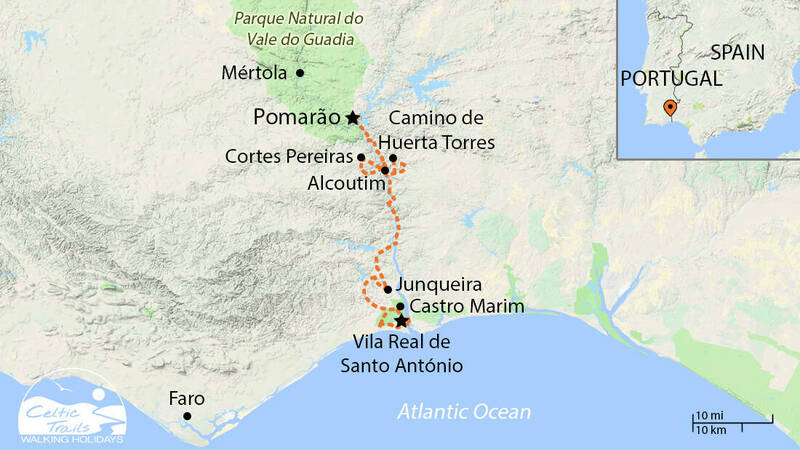 From here, the route takes you to the Vila Real Santo Anotonio, where you can stroll along the coastline to some of the most spectacular beaches of the Algarve. 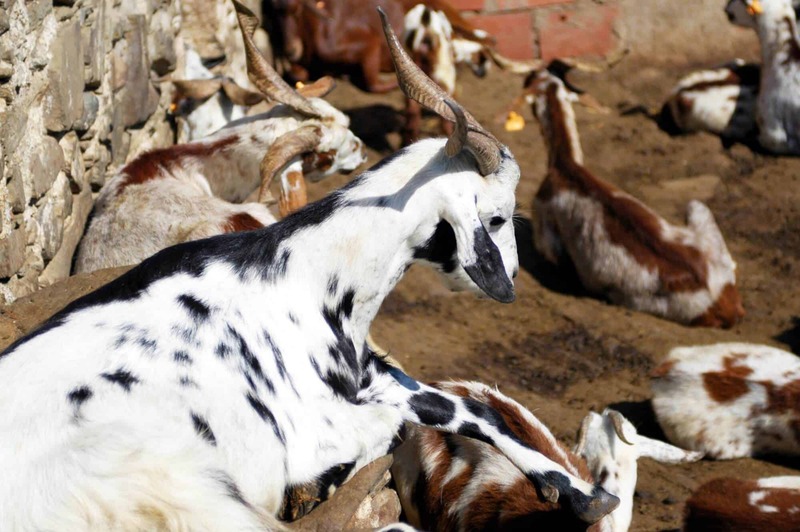 Here you can soak up the temperate waters of the Mediterranean before wandering through the charming white-washed farm houses back to your hotel. Following breakfast, meet your transfer to Faro for your flight back home. Evening meals. Available in local restaurant or in-house. You choose which day you would like you holiday to start on. Please note that unlike our UK holidays, there are five separate price bands. Please check the dates and prices carefully before booking. 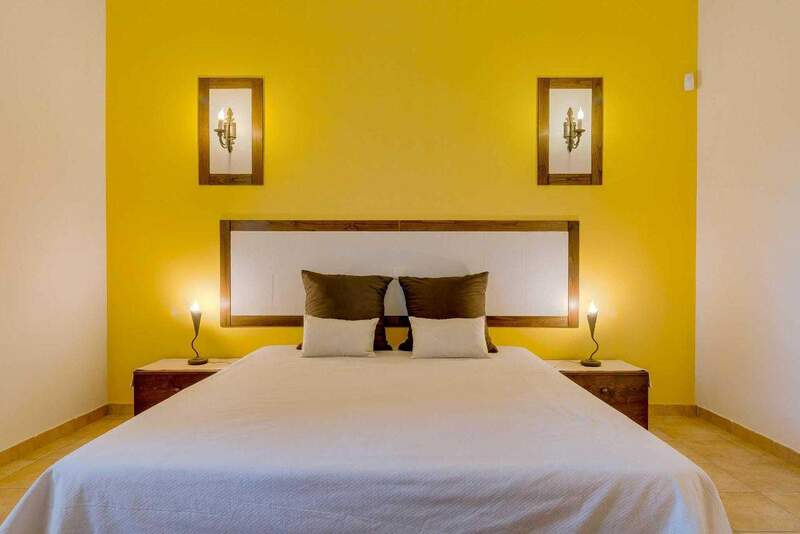 We will book your holiday in accordance with your requirements (holiday price determined by your arrival date). 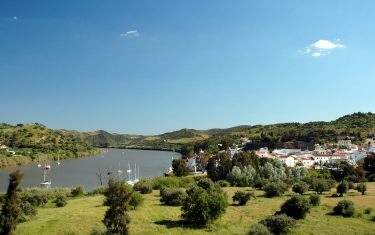 Mértola (optional extension 2) - Rest day to wander around the old town and visit different museums with a rich Roman, Christian and Moorish archaeological heritage. 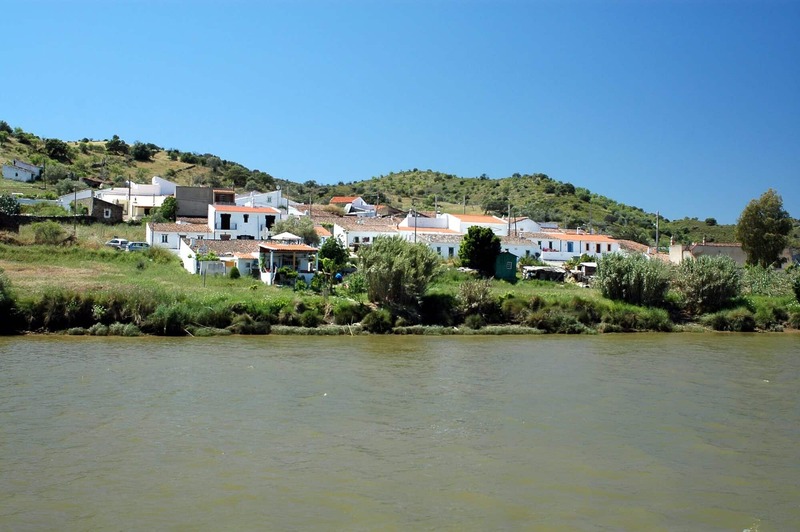 You are responsible for booking your travel to Portugal and to your accommodation in Mértola and return from your accommodation in Castro Marim. (taxi transfers can be arranged from/return the airport if required). 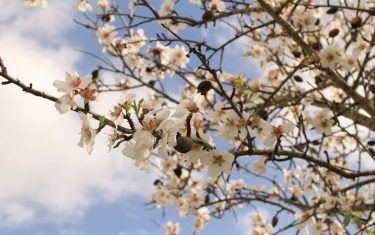 Please note that there are no direct bus services from Faro Airport to Mértola or Castro Marim, and as the indirect route has limited timetables and long waiting times this is not particularly recommended. Shuttle bus from the airport to Sete Rios bus station in Lisbon city centre. The shuttle runs hourly from 07.30 to 23.00 (departures every 40 minutes during the day). AeroBUS Line 2 – Financial Centre, Carris bus company. The best time to visit Guadiana would be Spring and early Autumn.